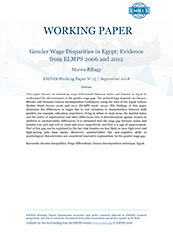 This paper focuses on estimating wage differentials between males and females in Egypt to understand the determinants of the gender wage gap. 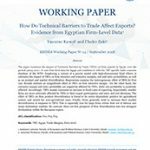 The methodology depends on Oaxaca-Blinder and Neuman-Oaxaca decomposition techniques, using the data of the Egypt Labour Market Panel Survey 2006 and 2012 (ELMPS 2006, 2012). The findings of this paper determine the differences in wages due to real variations in characteristics between both genders, for example, education, experience, living in urban or rural areas, the marital status and the sector of employment and other differences, due to discrimination against women in addition to unobservable differences. 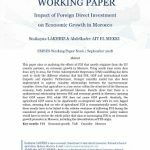 It is estimated that the wage gap between males and females was 25% and 21% in 2006 and 2012, respectively, and that is a sign of improvement. Part of this gap can be explained by the fact that females are less likely to have high-level and high-paying jobs than males. Moreover, unobservables like non-cognitive skills or psychological characteristics are considered innovative explanations for the gender wage gap.